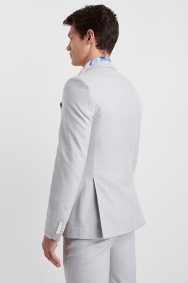 An event-ready suit that will make a statement. 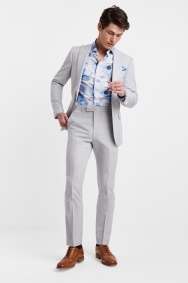 With its bold silver tone, this French Connection suit will stand out from the black, grey and blue outfits in the room, but still meet the smart dress code. 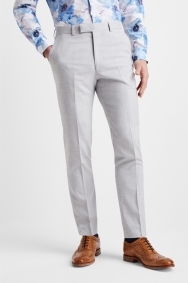 It’s thanks to the 3-piece design and sharp slim fit that creates definition through your waist and legs. 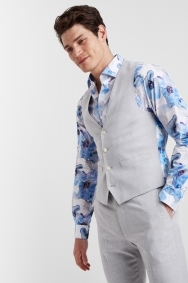 Peak lapels add to its special occasion look, as does an eye-catching contrast lining featuring a vibrant floral pattern. 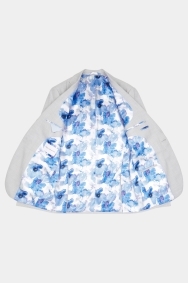 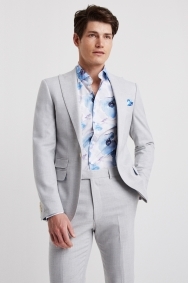 Tone down the silver by pairing with a pastel pink, blue or lilac shirt worn open necked. 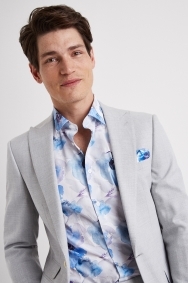 A pocket square in a bright colour will add just the right amount of interest.